Today I logged in to my Gmail and was surprised to see the outlook of it. It was changed with a blue border around the main body of inbox (list of my emails). There in the settings I found out the new option of Themes. 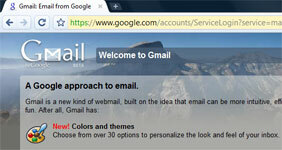 Gmail launched the themes for their users. With this new feature the very old fashioned simple white page interface of Gmail and almost all the google products had wiped out. People were getting bore of the simple white pages of Gmail and now they can set their favourite color scheme for their inbox. WordPress blog is quite a very famous script used for blogging. Many people after installing the blog are very much upset finding free good looking wordpress themes. Finally I have collected some of the outstanding themes for WordPress blog users.